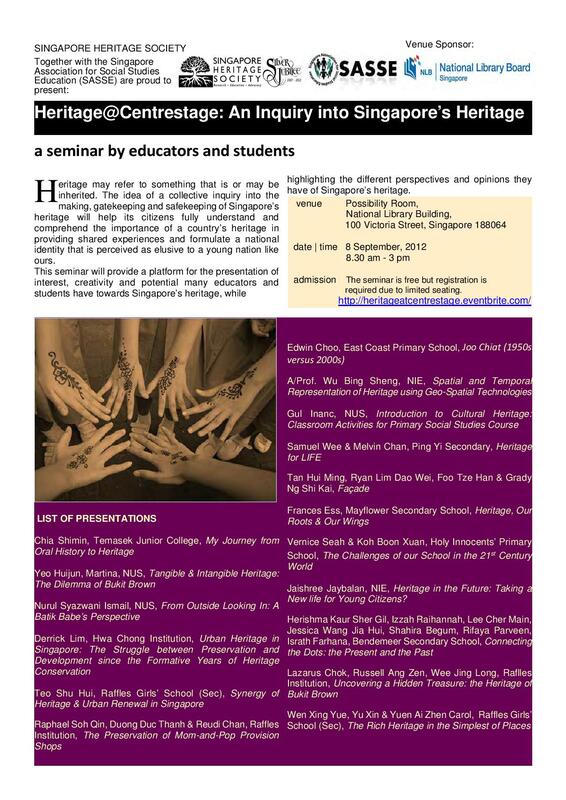 The Singapore Heritage Society and the Singapore Association for Social Studies Education (SASSE) invites you to a seminar on Singapore’s heritage. There will be presentations by scholars, teachers and students coming from a broad representation of schools in Singapore. Download the programme and presentation abstracts (as of 1 September).